Are you tired of endless rounds of antibiotics to treat your recurring sinus infections? Let’s talk long-term relief instead. Hearing loss is highly treatable. The Advanced Hearing Solutions audiology team has a combined 60+ years' experience helping people hear better. Guiding you on your journey to a lifetime of better hearing from start to finish. Precise imaging results for ENT patients with in-office convenience. Tired of that constant ringing in your ear? 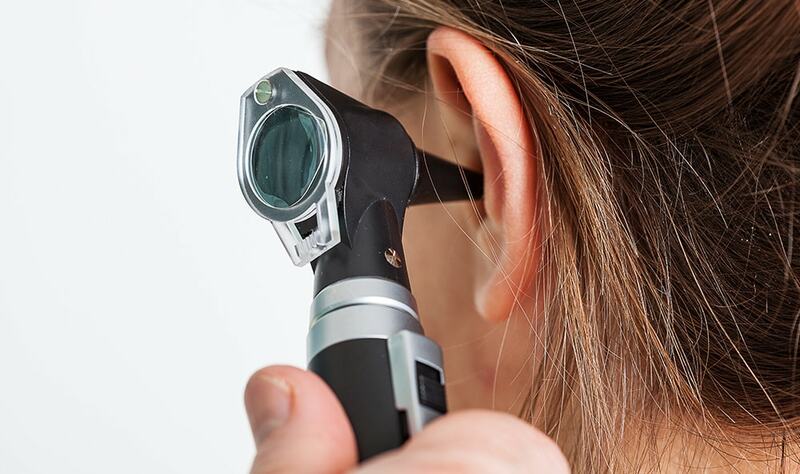 Find out about our audiology services. Whether you hear a constant ringing in your ear, or suffer from some degree of hearing loss, we can help. Our on-staff audiologist provides hearing aids and a wide spectrum of other audiology treatments. Take our Sinus Quiz to learn more about your condition. Your sinus symptoms may be indicating that something more serious is going on. Take our quiz to get a better understanding of your condition. Find out about our in-office Balloon Sinuplasty. Chronic sinus pain and pressure can take a toll on your quality of life. If you are tired of suffering, we can help! Click to learn more about balloon sinuplasty. ENTACC is proud to announce their new Walk-In Clinic! Exceptional sinus and ENT care was made even easier in June 2018 when we opened the doors to our new Walk-In Clinic. Same convenient hours for patients of Exton, West Chester and all of Chester County, PA.
Our physcians have over 40 years of experience. Whether you are suffering from hearing loss or an ear infection, we are here to help you get the relief that you deserve. Having trouble breathing? Constantly dealing with headaches? Our team is certified in the most current and state of the art sinus treatment procedures. At Ear Nose & Throat Associates of Chester County, A Board Certified Sleep Medicine Physician provides our patients with specialized testing options and treatment therapies. The MiniCAT IQ allows our team of skilled professionals to focus in on your sinuses with clear, precise imaging results in our offices. Learn more about this amazing new technology available now to ENTACC patients. 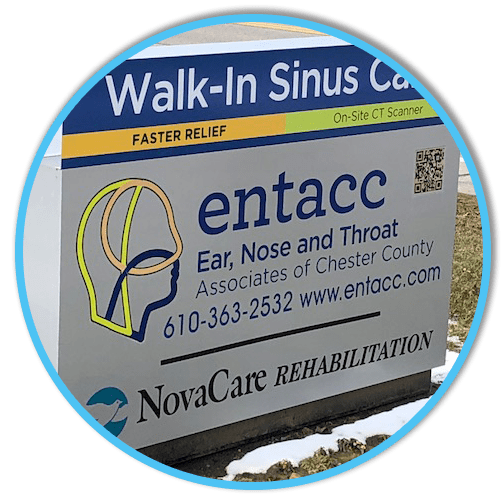 As an exemplary medical office, demonstrating excellence in all area of care and treatment for sinus patients, ENTACC has been deemed a Center of Excellence by Entellus Medical. With the introduction of office-friendly technologies, Entellus Medical has made it possible for effective sinus treatment to transition from an in-hospital surgery to an in-office procedure, allowing physicians more control and offering patients convenient treatment options. Balloon sinus dilation has enabled physicians to provide alternative treatments that are more cost-efficient, accessible, and satisfactory for the majority of sinus patients. ENTACC can offer their patients best practices in procedural techniques and skill for balloon sinus dilation alone or in combination with other techniques, as well as expertise in medicine, patient care, patient rapport, and all services for sinus patients. 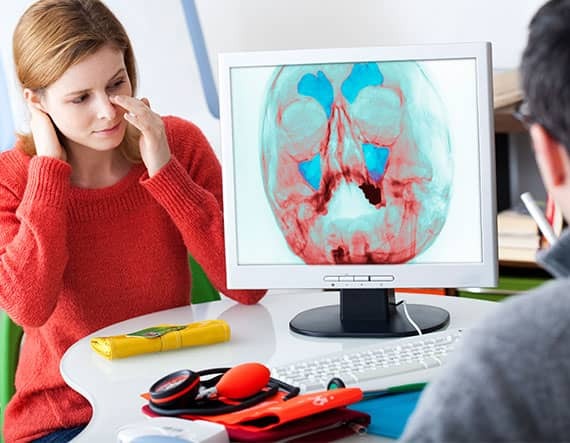 ENTACC participates as an Entellus Center of Excellence training site for the Peer-to-Peer Education Program which connects physicians with peers who have successfully transitioned sinusitis treatment from an in-hospital setting to an in-office setting. As a Center of Excellence, ENTACC provides training and education by hosting fellow ENT specialists in the office to see cases and share best practices on procedural techniques for balloon sinus dilation and on the integration and performance of balloon sinus dilation procedures in the office. Physicians also learn advanced techniques for treatment of patients with more complex disease, and how to combine additional necessary techniques with balloon sinus dilation to extent the benefits of office-based procedures to a wider group of sinus patients. State-of-the-art equipment, the most innovative technology, and superior patient care. With over 40 years of respected medical service to the residents of Chester County, Ear, Nose & Throat Associates of Chester County’s board certified physicians, are dedicated to providing comprehensive care for a diverse range of adult and pediatric disorders of the ear, nose, throat, head and neck. We offer state-of-the-art equipment, the most innovative technology and superior patient care in four office locations.